Welcome to Car Week! The inaugural post will be a bit of an anomaly, as the outfit and the car featured are never seen in the same scenes together. Forgive this brief misstep and expect to see it rectified throughout the week. However, how could any blog like this start without featuring the legendary ’68 Mustang from Bullitt? 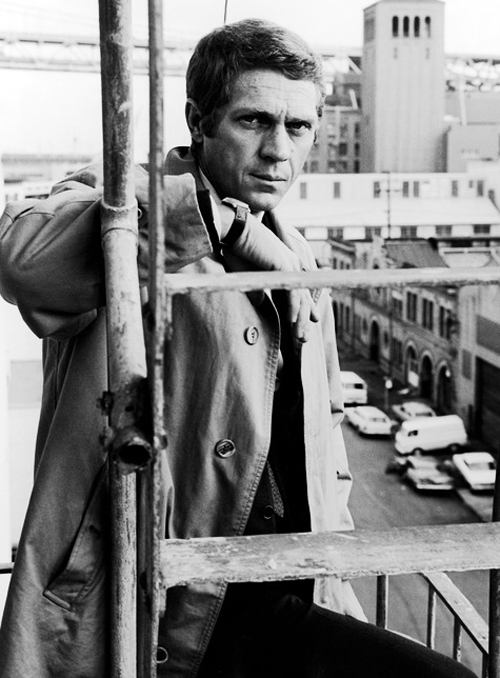 Steve McQueen as Bullitt (1968). 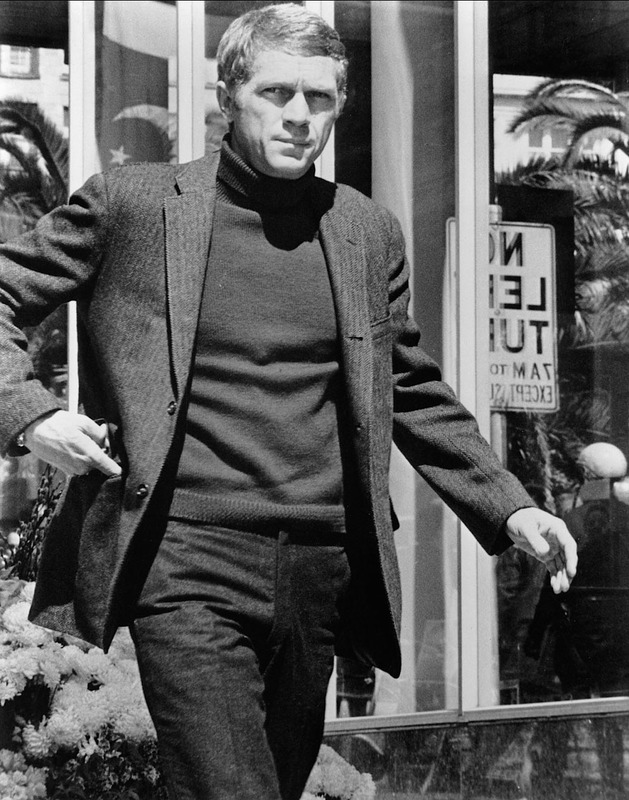 McQueen’s character in Bullitt is often remembered for two things: his handling of the green fastback Mustang during the car chase and the iconic shooting jacket and rollneck jumper he wore. Just prior to that sequence, we see Bullitt pulling an all-nighter at the hospital after the fatal shooting of the witness his men were protecting. Dressing for fall – especially in a city like Pittsburgh – can be difficult when the morning is 40°F, the temperature climbs to 75°F at noon, and a humid rain falls just in time for the drive home. And yet, Steve McQueen found a way to be prepared for all weather while looking cool and comfortable at the same time. 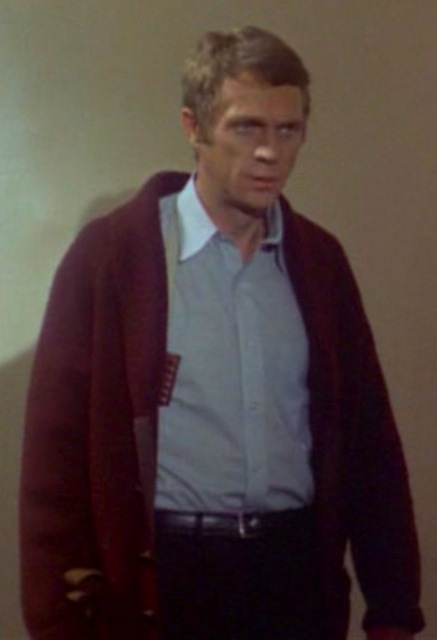 One thing sane people do, as we all know, is spend a good portion of their spare time on eBay searching for a brown tweed jacket a bit like the one in Bullitt.